This month's review from Masterbooks is exciting. 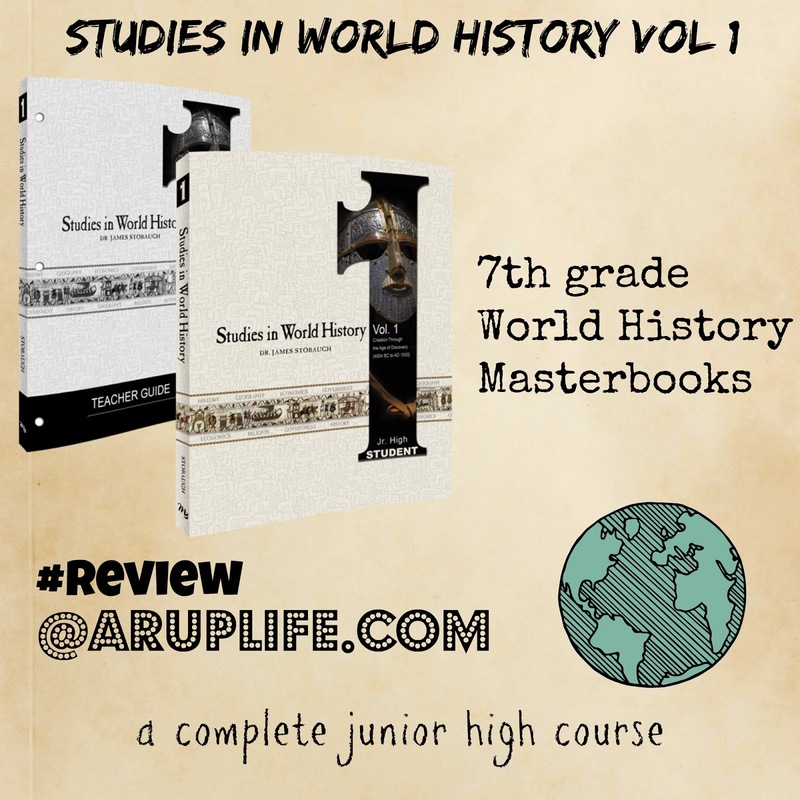 It is a complete history curriculum for 7th grade. While we are not actually schooling in August (in NJ our public schools go back in September) my middle son and I took some time to over view the books. This book includes 34 chapters with weekly reading lessons and discussion questions. I love the length of time this book covers. You start with the Flood and end with Christopher Columbus. It would be great for a child who hasn't spent a lot of time studying World History and needs to get a course in one year. The readings are easy and informative. Each page has fantastic pictures (which I think set this curriculum apart!) The worksheets mostly writing exercises. We did them orally for the few lessons we read just to save time. Overall I was really impressed! 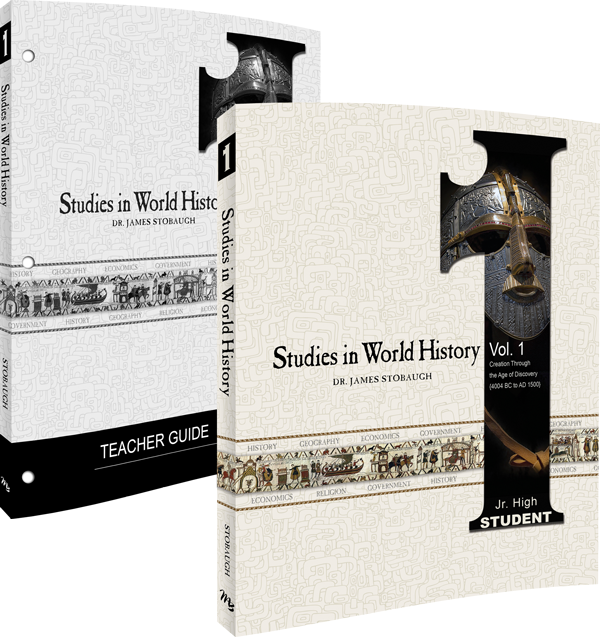 Studies in World History Vol 1 is available at NLPG.com. Be sure to stop there to see additional information about this curriculum. Don't miss the Moms of Masterbooks Facebook party on Tuesday, August 26, 2014 at 7pm CST. We will discuss the book and there will be an awesome giveaway!